Last UPDATE included on October 24 ! 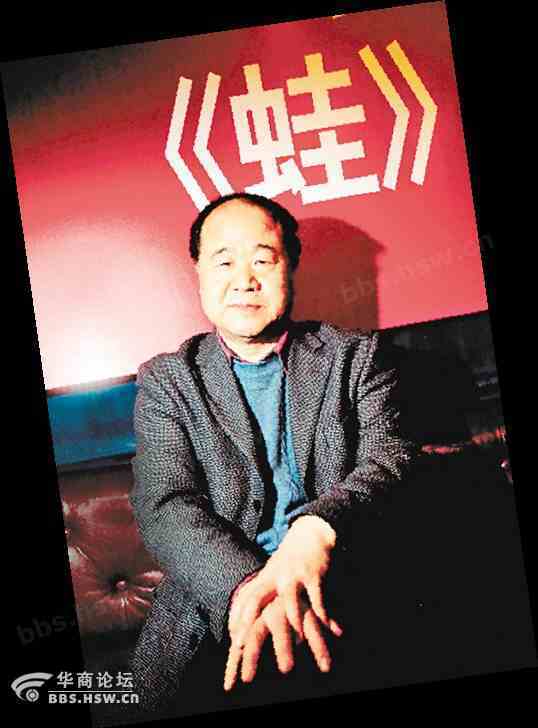 According to the Chinese service of BBC and other sources, one of China's most successful authors, Mo Yan 莫言 has obtained the 2012 Nobel Prize for Literature. His best known story "Clan of the Red Sorghum 红高粱家族" even found its way to the cinema. The film based on Mo Yan's 1987 novel was released in 1988. In that year it was presented at the 38th Berlin Film Festival and won the most appreciated Golden Bear Award under its new title "Das Rote Kornfeld / The Red Corn Field". 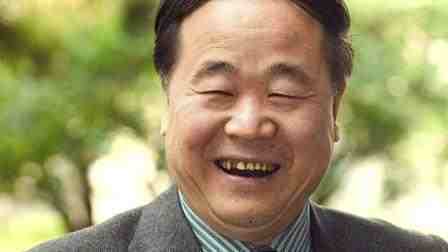 It was then that Mo Yan became known outside of China together with film director Zhang Yimou. 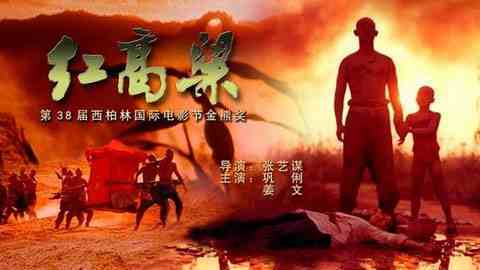 A Chinese film poster for "The Red Corn Field"
never had ideological problems with West-Berlin. In 1939, as early as August 9 according to the ancient calendar, my father was just 14 years old when he belonged to a gang of local bandits. He later followed troops under the command of legendary hero Yu Zhan Ao and who became famous everywhere at the time he "glued" a motorized unit of the Japanese [army] in a highway ambush. Grandma, wrapped in a double-layered jacket, saw them off at the end of the village. Commander Yu said: "Stand upright !". Grandma stood upright. And she told my father: "Bean officer ! You listen to what your adoptive father is saying." [My] father didn't say a single word. He looked at grandma's tall body and smelled the hot fragrance escaping from within [her] double-layered jacket. Suddenly, he felt a cold threat and shivered, his stomach making a rumbling noise for some moment. Commander Yu patted father's head and said: "Let's go, son." Heaven and earth being in chaos and the scenery remaining indistinct, a disorderly clatter of footsteps from numerous troopers resounded in the distance. Father was facing [the fact] that he was caught in a curtain of blue and white fog blocking his view. All he heard was the sound of footsteps made by the troopers, neither seeing their bodies nor their shadows. Father closely pulled at a corner of commander Yu's [uniform], both of his legs moving fast. Now, grandma resembled a [safe] shore that became more and more distant with every step away while the fog seemed like the [waves of the] sea appearing more and more turbulent when approaching them. Father's gripping of commander Yu therefore seemed like gripping the side of a boat. Among archives material of Zha Huang township in Japan's Hokkaido region there was a record telling: "In the morning of 1st October 1949 near Qing Tian Tian village which belongs to Zha Huang township, a peasant woman following river Zhen Zi [ or: the path of chastity 贞子 (zhenzi) ] was harvesting rice in the middle of a mountain valley when she met with a savage [ chin. Ye 野 (wild) + 子 (son) = son of the wild ] who sullied ....." Such was the information. It was Mr. Ya [ jap. Ya 野 ], one of my Japanese friends, who helped me to gather and translate it into Chinese. The so-called "savage" in that material seemed to indicate my father. The purpose of quoting this piece of information is in order to explain when and where one important incident took place that appeared in father's narrations. In autumn 1943, my father was seized for manual labour and arrived on Hokkaido in Japan at the end of the same year. In spring 1944, when bright mountain flowers were in full bloom he escaped from the workers' camp. In the mountains he led a life that was half of a human and half of a beast until the first of October 1949 when he had already spent more than 2.000 days and nights in the mountain forests. Now, on the day I depicted, in addition to the great fog that came before dawn and made him more easily and more vividly recall that fervent life he had previously led in his former country, a life which belonged to him and to his family as well, the day had no special significance [for him]. The matter occurring at noon [then required] another way of thinking and a different view. 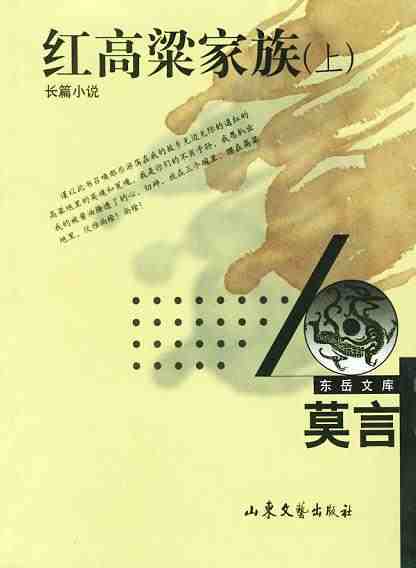 The above translated excerpts are presenting the historical frame of Mo Yan's plot in his masterpiece "The Red Cornfield". Yet, this novel is more than a diary of war but a colorful and vivid description of a single human character who is serving as a symbol for generations of people in their eternal struggle of life. The Clan of the Red Sorghum: Proclaiming completely strange ideas from wild thinking about historical authenticity. Having developed from medium-length to full length, the novel "Clan of the Red Sorghum" [or: Red Corn Field] is still up to now Mo Yan's most representative and symbolic work. That symbolic character being probably related to his own person. Editor's remark: Very early at the beginning of the novel, "storyteller" Mo Yan is indicating that the boy singing a ferocious song of war on top of that nameless tombstone might be regarded as Mo Yan himself who is telling us the story of his father and his clan. A Russian translator of literature and high-ranking researcher at the Far-Eastern Research Institute, [...], indicated that he was quite happy Mo Yan was able to obtain the Nobel Prize for Literature. He said: "Reading "The Red Corn Field" and "The Frog", one should say, the powerful and skilled plot of the film was able to reach [its] success, howelse could be the merits of Mo Yan's original work." Earlier, the writer Gao Xingjian 高行健, originating from mainland China and living abroad in France, had obtained the year 2000 Nobel Prize for Literature, thus becoming the first Chinese writer to win that prize. Mo Yan (* 1955) is originating from a small village in China's Shandong province where good news from the Nobel Prize Committee in Stockholm reached him. Another Chinese source is saying about Mo Yan: "It was not easy for the son of a farmer to arrive at that point." A sigh of relief ! Lu Xun and Lao She would probably have died content as China finally brings about a great master of literature and who is worth the Nobel prize. Lu Xun who introduced a new style of writing literature at the beginning of the 20th century and Lao She, one of the most remarkable writers at the beginning of Communist rule in China, are being regarded as milestones in the long tradition of Chinese literature. The above mentioned Gao Xingjian, first Chinese author to win the Nobel Prize for Literature, has never become so popular in mainland China like Mo Yan already is. This might be due to Gao's writings referring much closer to the "dark chapters" of Communist China's history. Once being accused of "rightism" soon after the beginning of his career, it was his personal experience that finally made him leave PR China. As a consequence, only short comments could be found on official Chinese websites at the time when Gao obtained his year 2000 Nobel Prize, and his main writings were distributed on privately maintained Chinese websites like some kind of underground literature. However both authors, Mo Yan and Gao Xing Jian, are excellent narrators who vividly and most colourful describe the national tribes of China and the sceneries they live in.